After you are recommended a kidney transplant, the first and most important thing to do is to get registered with the national wait-list of organ donors. You have to select a transplant centre (your choice or referral by a doctor). Do research on best kidney transplant hospitals in India. Select a centre that matches your requirements (experience/ geographical location/ financial suitability). Set up an appointment with the centre. Following doctor’s diagnosis, get your transplant team to add your name to the national organ waitlist. Get a letter of confirmation from the transplant centre conforming name on waiting list. If you haven’t heard from transplant team since long, call coordinator for follow-up. Complete all scheduled appointments and evaluations for joining a waiting list. Routine lab tests and physical exam. Social, familial and medical histories. Compatibility testing (blood type/ tissue type and measurement of PRA or Panel Reactive Antibodies). Check for active infections (HIV, Hepatitis). Read Kidney Cancer Treatment: Are Both Your Kidneys at Risk? Based on your health, other tests may be necessary. Your team for transplant will inform you about all tests needed to be an organ transplant candidate. Be available all time. Give transplant team a list of phone numbers which can track you 24×7. This includes numbers of friends and family. This is imperative because, as soon as donor organ becomes available, you must agree to the procedure, lest the organ passes onto the next candidate in the list. Make a list of items to carry to the hospital. When the time of transplant arrives, you may not have time. So, pack bags in advance. Arrange how to get to the hospital. Get someone to drive you or assist you in catching a flight. Make plans for being away from home. Let someone handle newspapers, mails, bills, water pants, take care of kids and pets, etc. Arrange for a contact person who can convey information about you to relatives and friends, such that you can get sufficient rest. Pack for the hospital (slippers, bathrobe, comfortable clothing, list of medications, list of allergies, and a copy of insurance policy, music, books, and photos). Get educated about the procedure. Arrange for support system (family and friends). 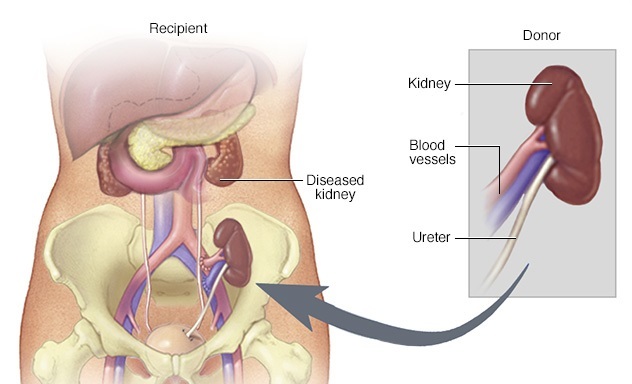 These are all some aspects of preparing for kidney transplant surgery.